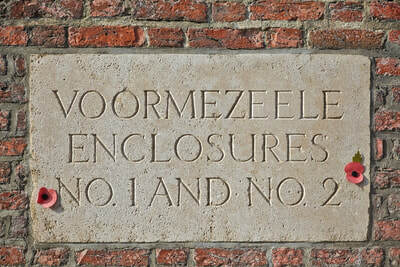 Voormezeele Enclosures Nos.1 and 2 are located 4 Kms south-west of Ieper town centre, on the Voormezeele Dorp, a street in the village of Voormezeele. 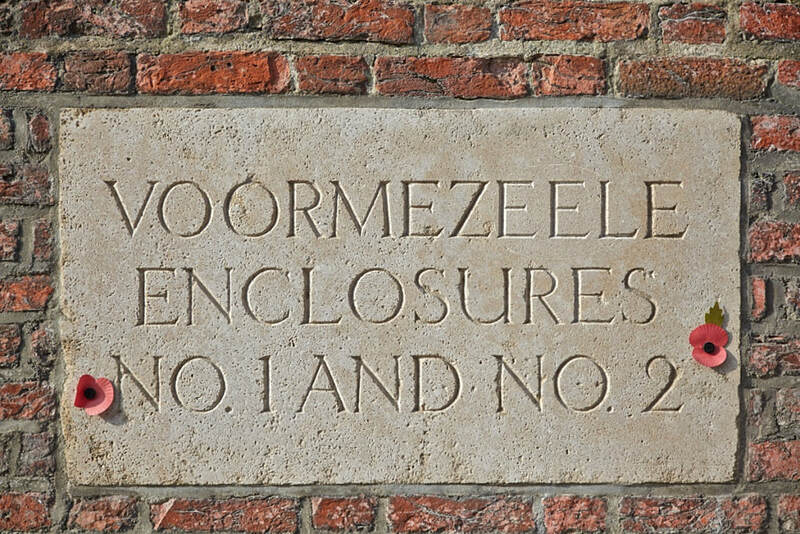 Turn right onto the Kemmelseweg and follow this road to the first crossroads, turn left here into Ruusschaartstraat. The cemetery is located 1 Km after this junction on the right hand side of the road just in Voormezeele Dorp. 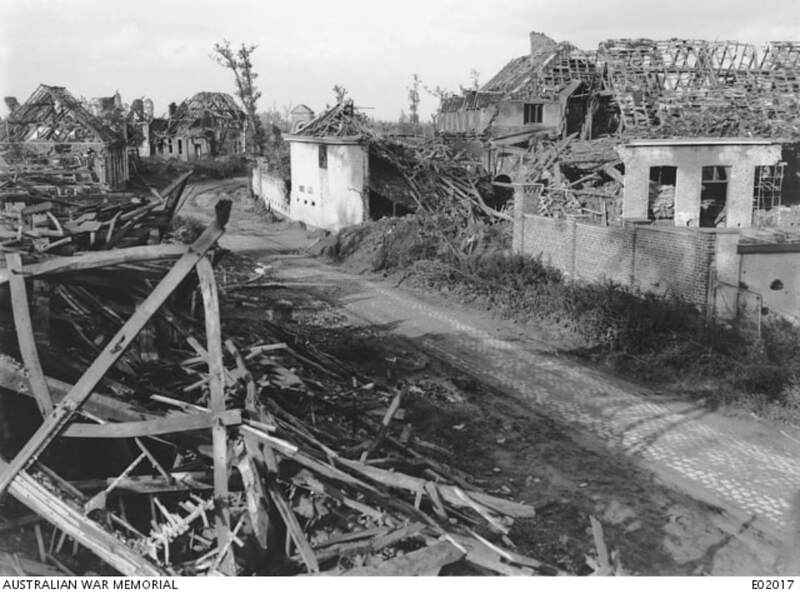 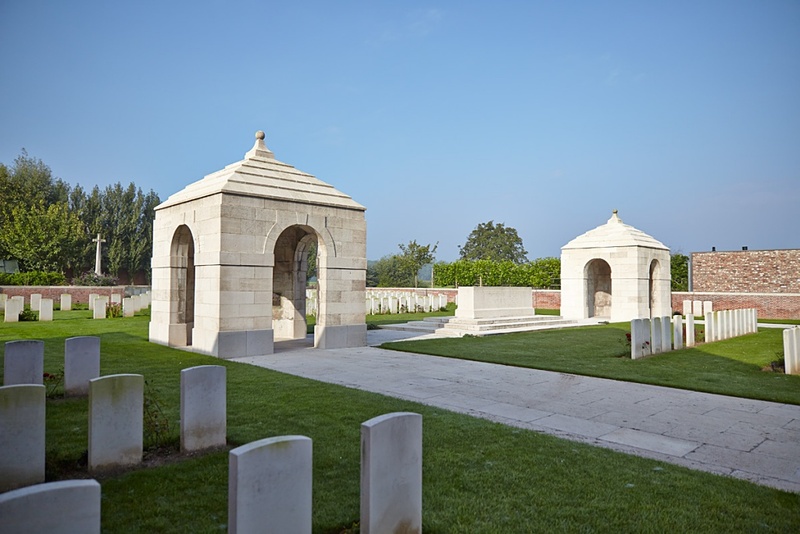 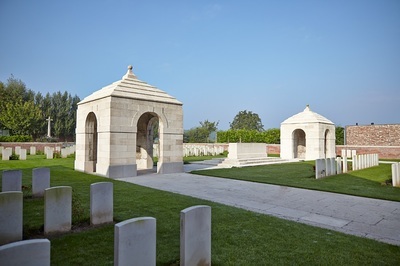 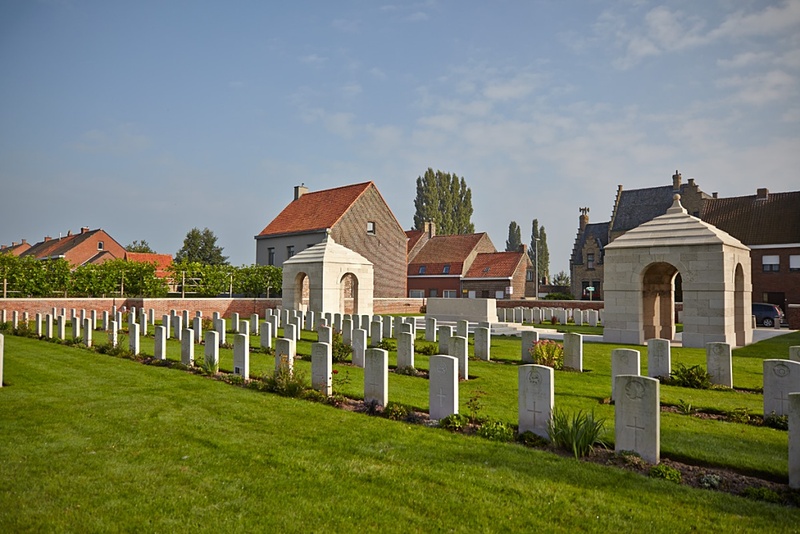 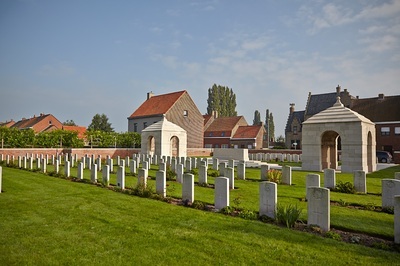 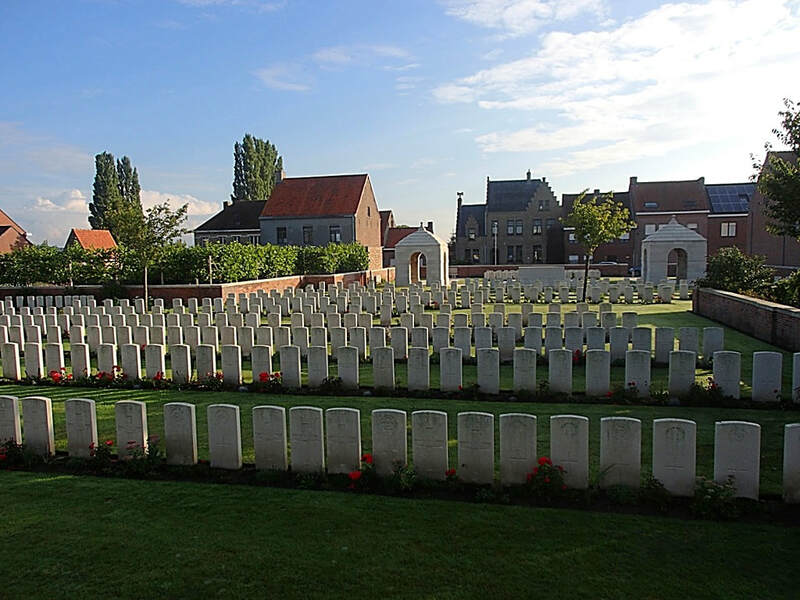 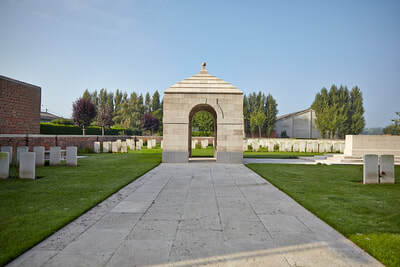 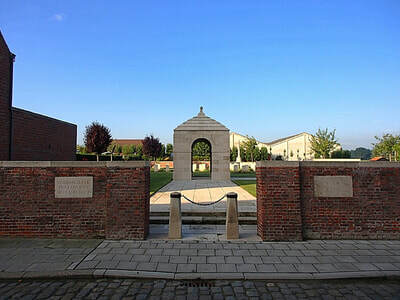 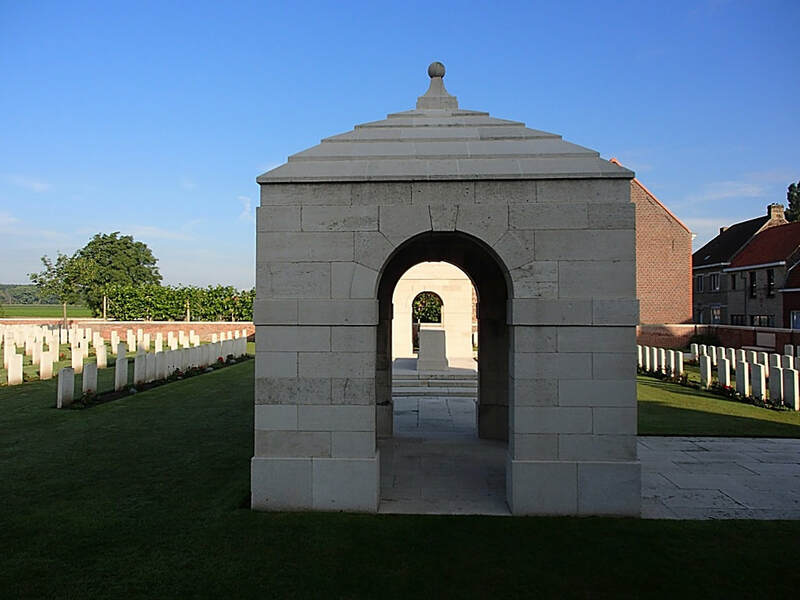 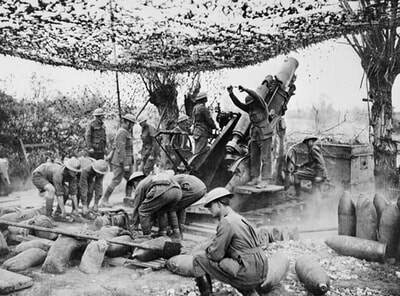 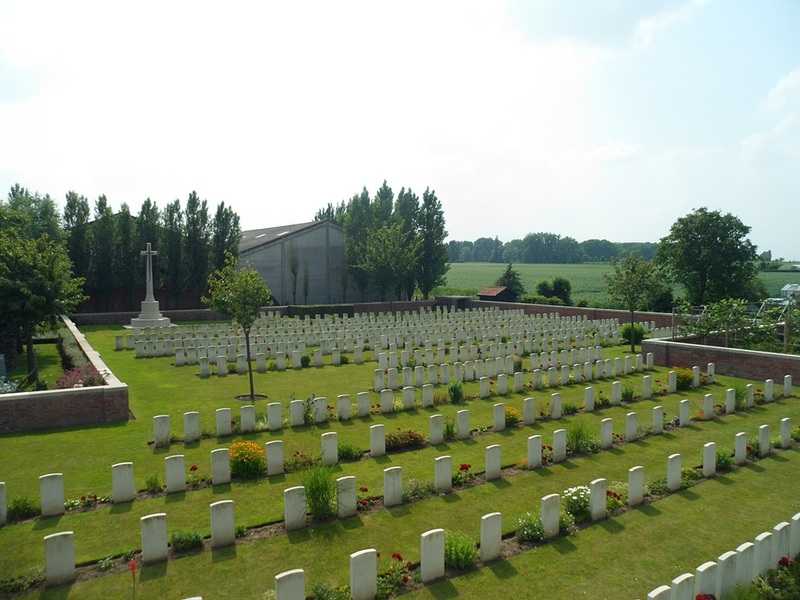 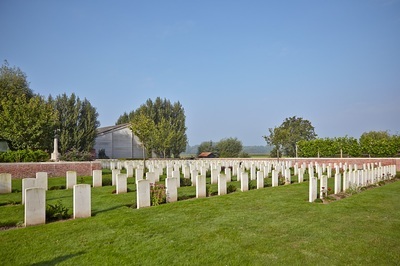 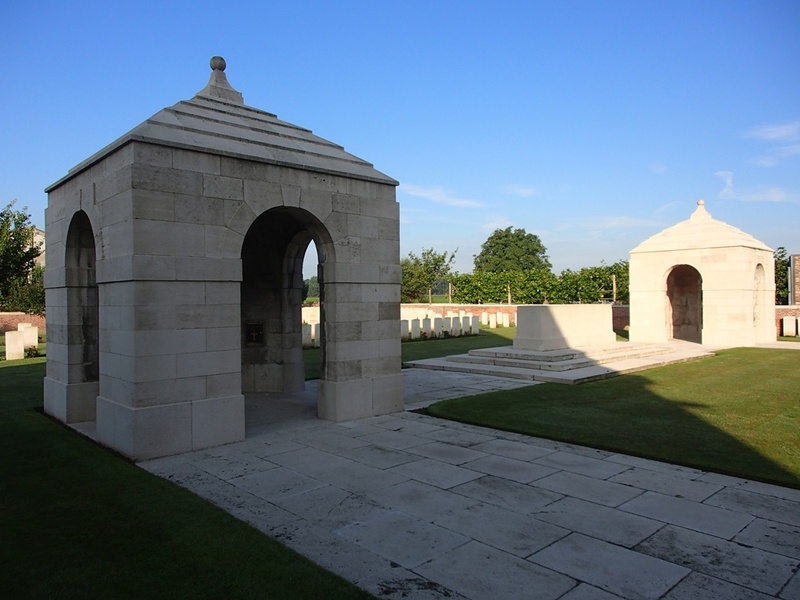 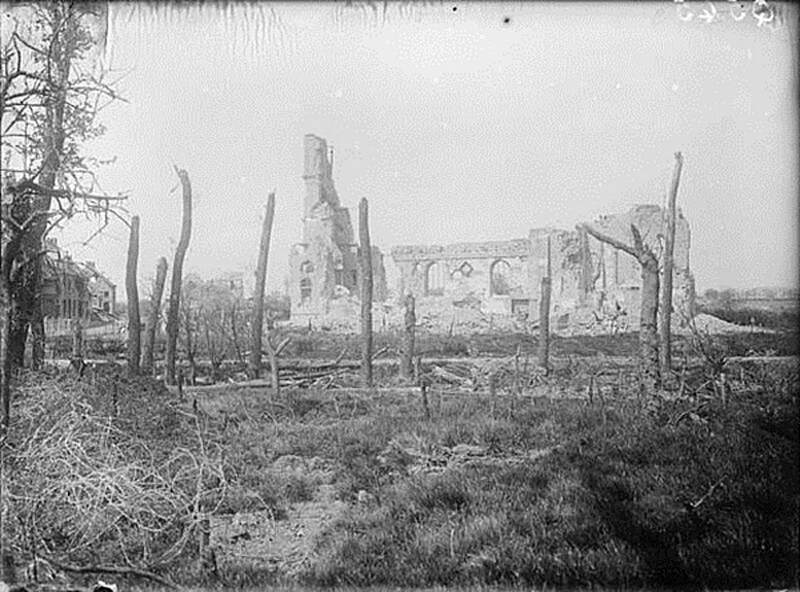 The Voormezeele Enclosures (at one time, there were a total of four, but now reduced to three) were originally regimental groups of graves, begun very early in the First World War and gradually increased until the village and the cemeteries were captured by the Germans after very heavy fighting on 29 April 1918. 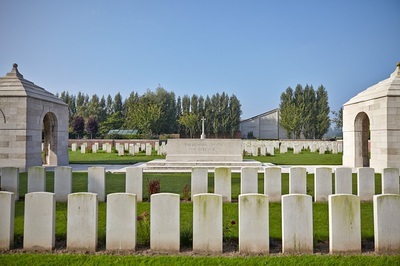 No.1 and No.2 are now treated as a single cemetery. 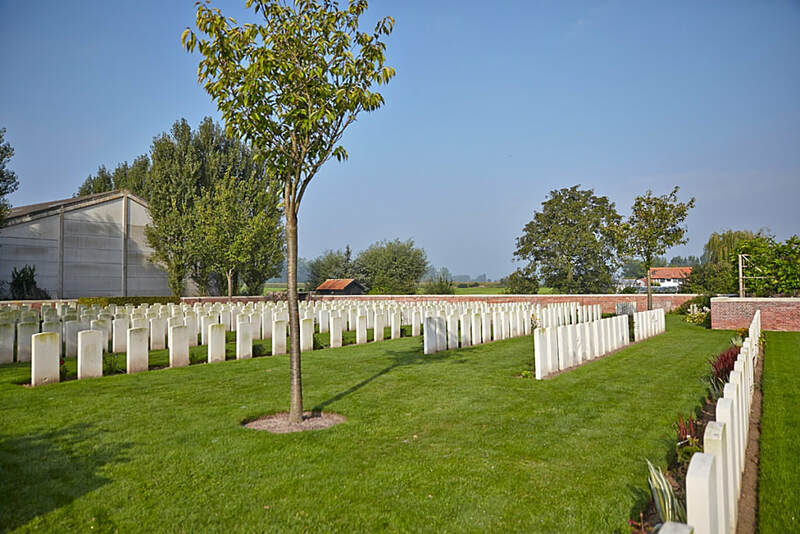 Enclosure No.1, Plot I of the current cemetery, was begun by the 28th Division in March 1915 and carried on by the 17th, 3rd and other Divisions (and later by the Artillery) until April 1918. 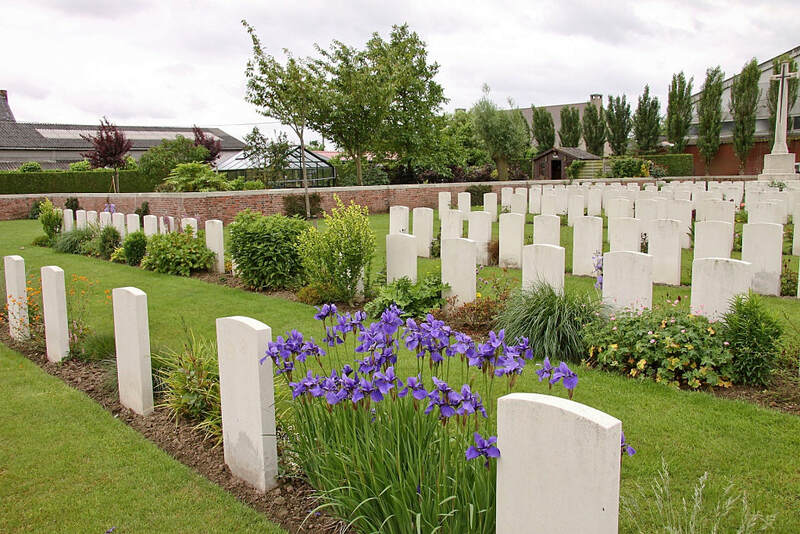 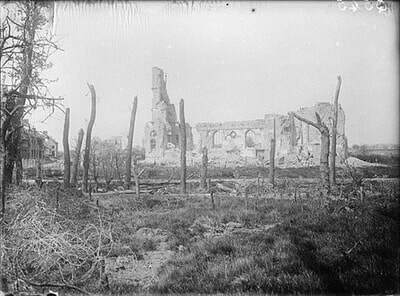 A few graves in Row N were added by the Germans, and a few more by Commonwealth forces in September and October 1918. 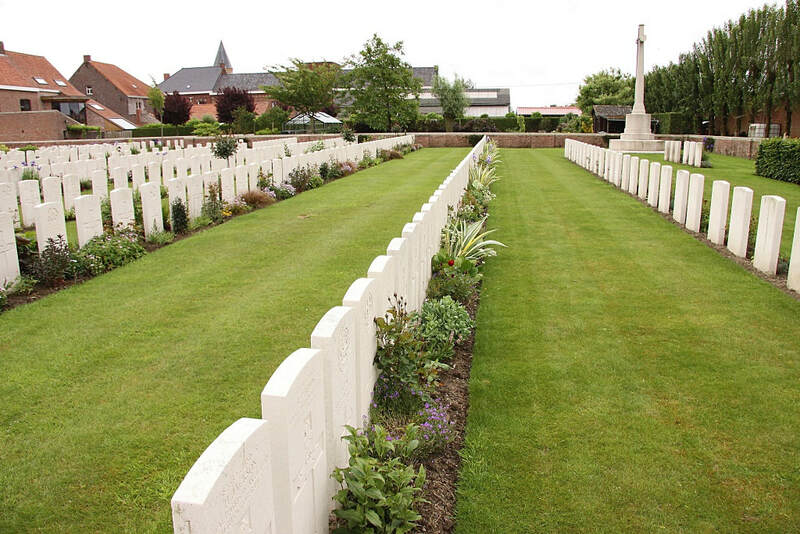 One grave was brought into Row F after the Armistice from a position in the village. 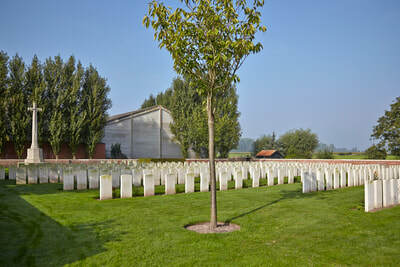 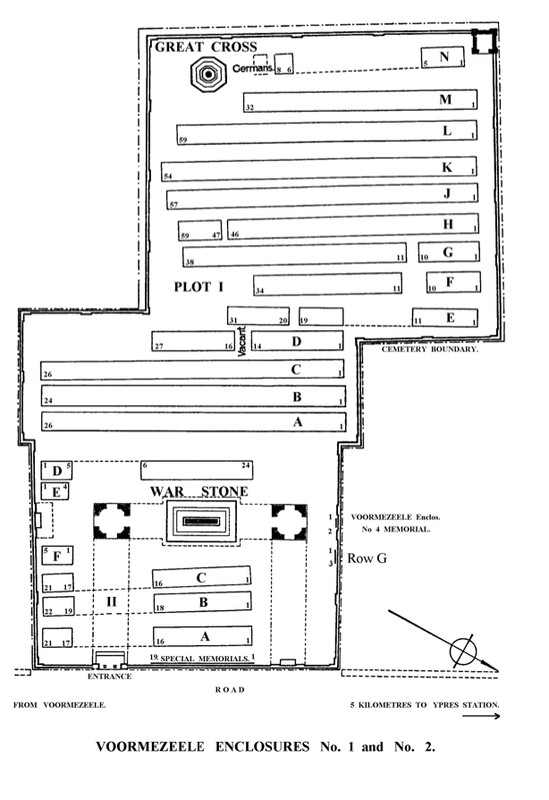 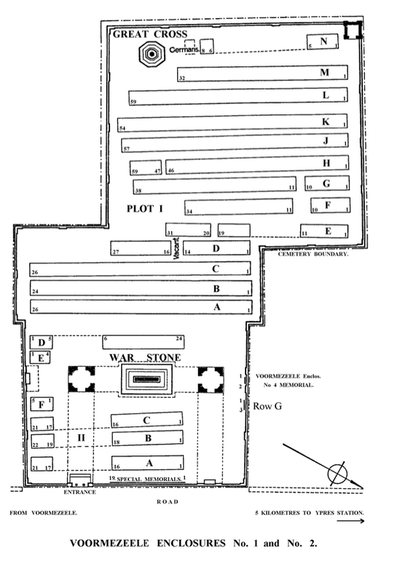 Enclosure No.2, now Plot II, was begun in March 1915 and used until April 1917. 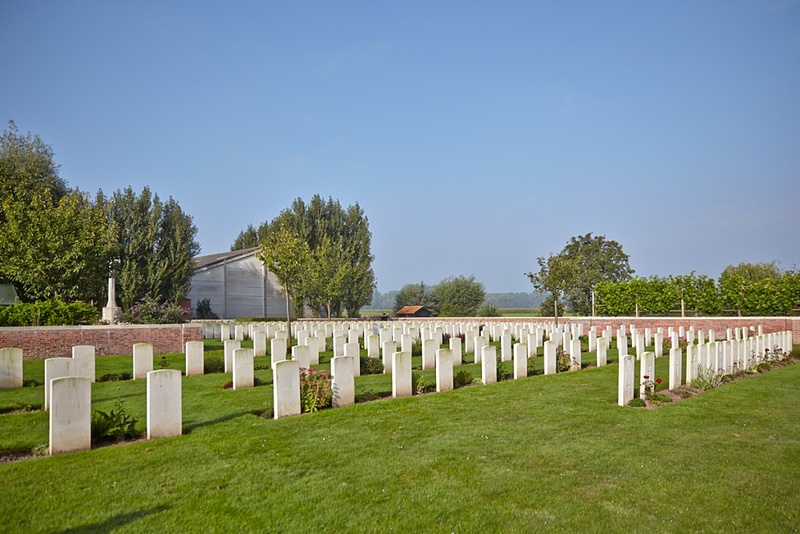 After the Armistice, 42 graves from Enclosure No.4 were brought into Rows B, C and D.
Enclosure No.4 was behind a brewery a little south of Nos.1 and 2. 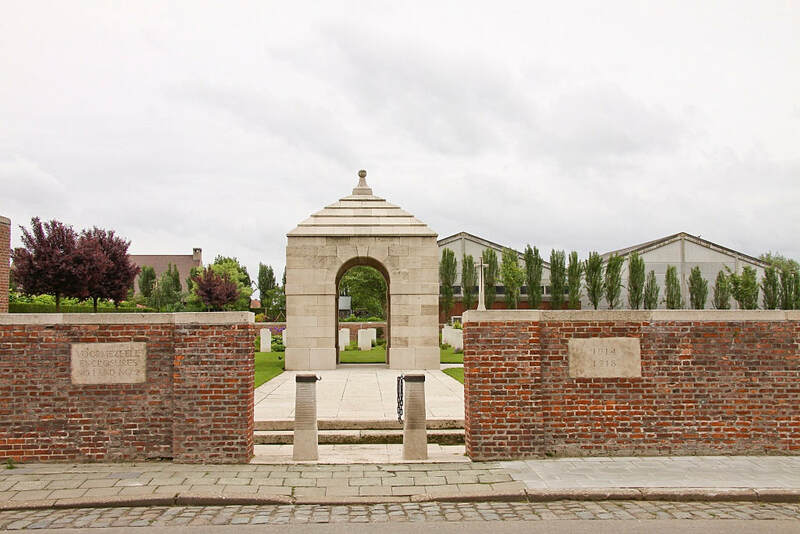 It was begun by the French 3rd Regiment of Zouaves in December 1914 and used by the 4th Rifle Brigade and other Commonwealth units from January to November 1915. There are now 593 Commonwealth servicemen of the First World War buried or commemorated in this cemetery. 40 of the burials are unidentified and 19 graves destroyed by shell fire are represented by special memorials. 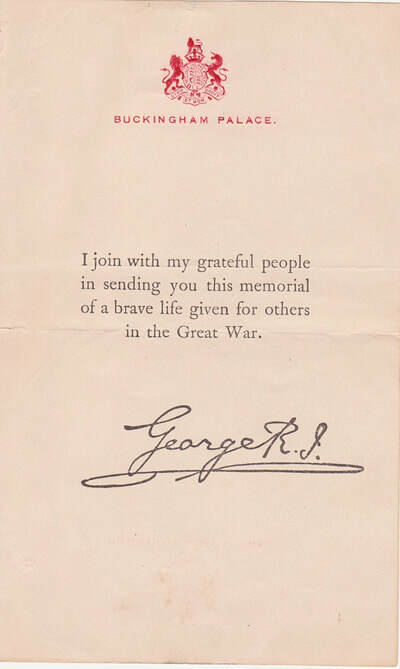 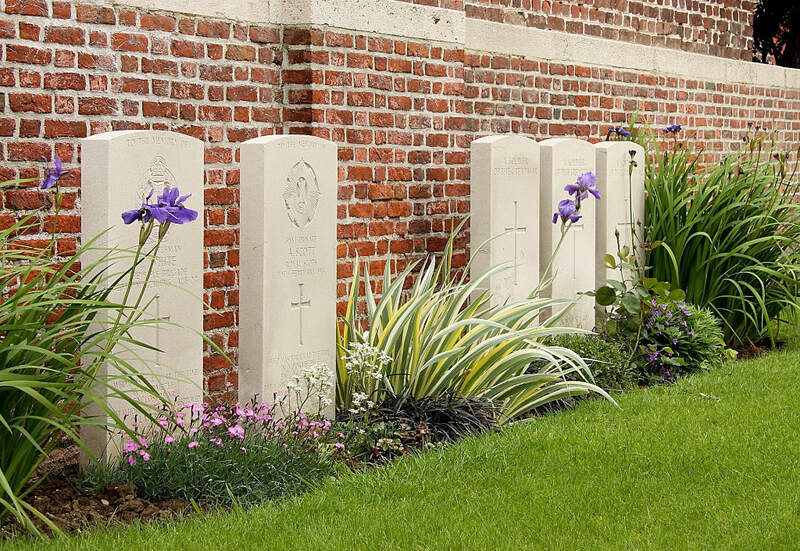 Other special memorials record the names of two casualties buried in Enclosure No.4 whose graves were also destroyed. 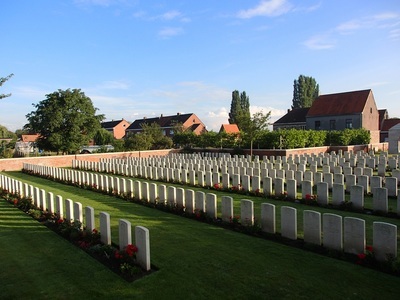 The cemetery also contains 6 German war graves. 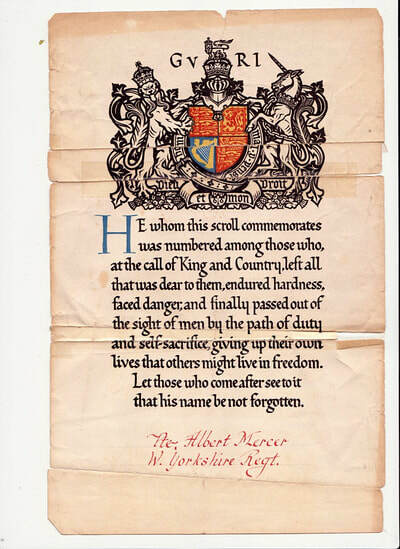 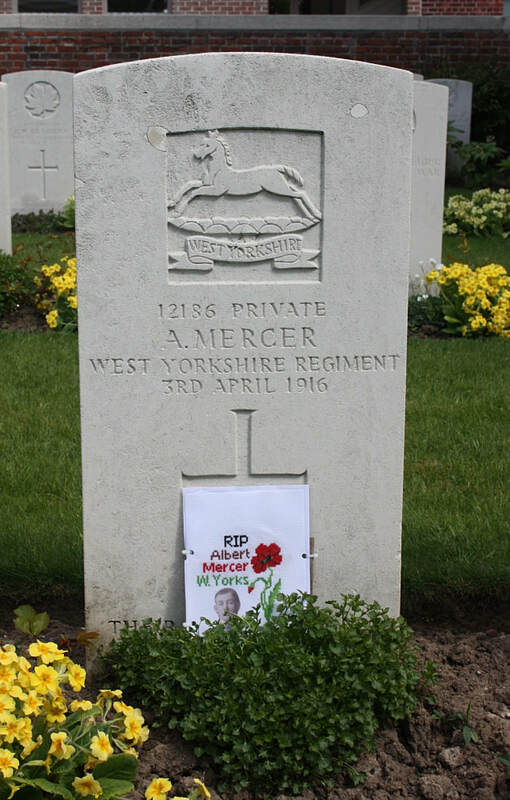 The Cemetery was designed by Sir Edwin Lutyens & Captain Wilfred Clement Von Berg, M. C.
Albert was born in York in 1881, his parents being Robert Mercer and Mary Ann Stoney. 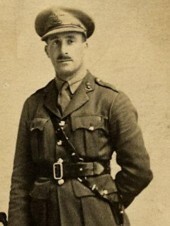 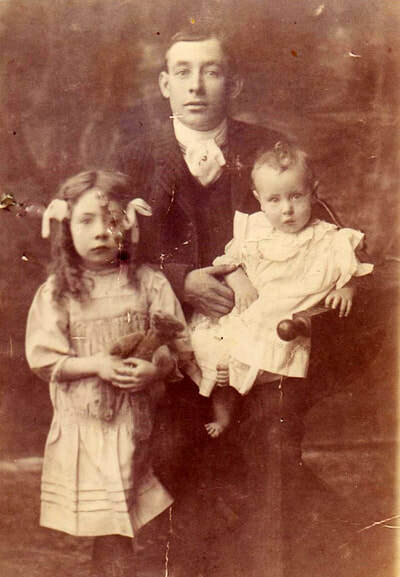 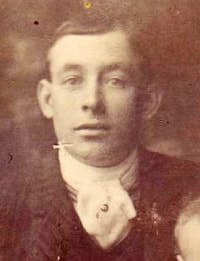 Son of Edward H. and Kate E. Page, of "Ballynona," Sandown, Isle of Wight.